You can watch Sunday's sermon here. Therefore it says, “When he ascended on high he led a host of captives, and he gave gifts to men. (In saying, “He ascended,” what does it mean but that he had also descended into the lower regions, the earth? He who descended is the one who also ascended far above all the heavens, that he might fill all things.) And he gave the apostles, the prophets, the evangelists, the shepherds and teachers. Use these questions to further explore the theme of the service (these are great to use with your friends, family, or small group). Pray the power. 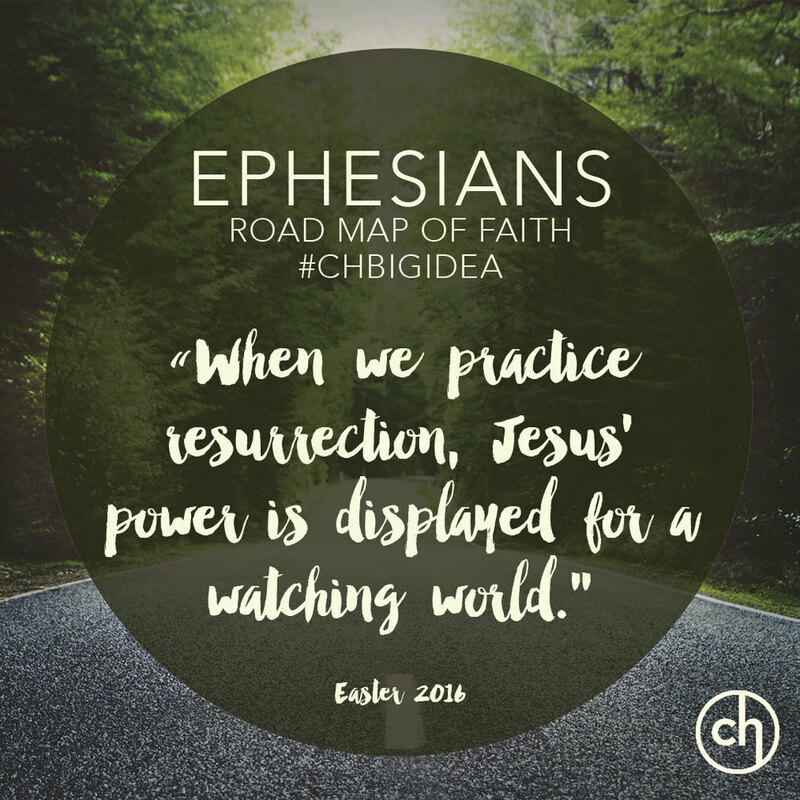 Paul says that the power that raised Jesus from the dead is in us (Ephesians 1:19). Are you giving evidence of that power? Would your friends describe you like a spiritual giant on the order of Mother Teresa or a spiritual midget on the order of Pee Wee Herman? What’s the key to more power in you? Paul says that God raised us up (Ephesians 2:5). In 25 words or less how would you describe what that means to someone who has never darkened the door of a church before? Paul connects the exaltation of Christ with the use of our spiritual gifts (Ephesians 4:8-11). How does knowing that Christ lives in heaven aid in the empowerment of our lives for Christian service? Ephesians tells us to walk in love, light, and wisdom (Ephesians 5:1-21). How does resurrection faith and Holy Spirit power combine to help us live ethical lives for Christ today? What does it mean to “come awake” ethically? Murray Hollis read us an Easter story! Dr. Mark Scott showed this video during his sermon. Preacher Jeff Walling tells about a time he prayed at a funeral. Recap of Last Sunday & Looking Forward to Resurrection Sunday!